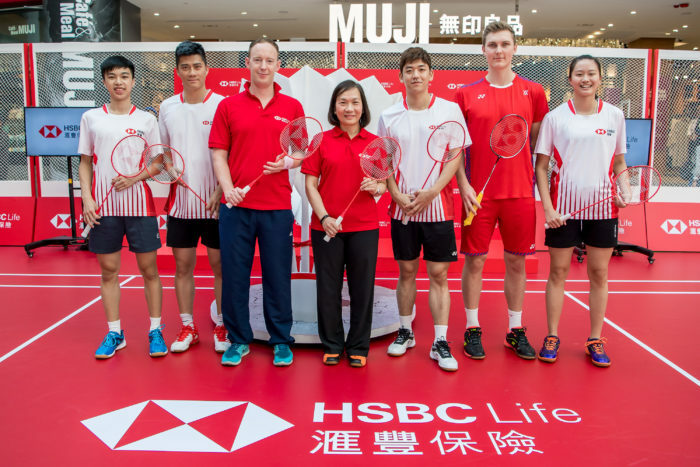 HSBC Life has launched its series of badminton-themed activities at “City Badminton” to promote better physical and mental health through sport participation. It has also featured a friendly game involving HSBC executives and two of badminton’s biggest legends. HSBC Life, the insurance subsidiary of HSBC, has been supporting the group’s global sponsorship of the Badminton World Federation(BWF), and created a range of activities in Hong Kong including the HSBC Life Badminton Zone, and “Let’s Play” Badminton Coaching Clinic as part of its efforts to help Hong Kongers manage health risks and improve lifestyle. With a total of 24 hours of court time from 9 to 11 November at “City Badminton”, a number of community groups including the Hong Kong Sports Association for Persons with Intellectual Disability, students from Pui Kiu College, top local junior talents, HSBC staff members, and shoppers at Olympian City 2 were able to engage with the sport of badminton through coaching clinics, injury prevention seminars, free-play with friends and family, and play-to-win activities. The event also featured tech-based interactive activities such as VR badminton game, pararoma photo-taking booth. Over the course of the weekend, over 3,000 visitors were shown the basics to physical and mental wellness through exercise. In the friendly game, HSBC’s Greater China chief executive Helen Wong and multiple Olympic gold medalists and World Championship winner in men’s doubles badminton Fu Haifeng came out on top against HSBC Life’s Hong Kong CEO Edward Moncreiffe and former world number one in men’s and mixed doubles Lee Yong-dae. The 2017 Badminton World Federation (BWF) world champion and current world number four in men’s singles, Viktor Axelsen of Denmark also shared his passion for badminton and the importance of taking a proactive and preventative approach in personal health management. 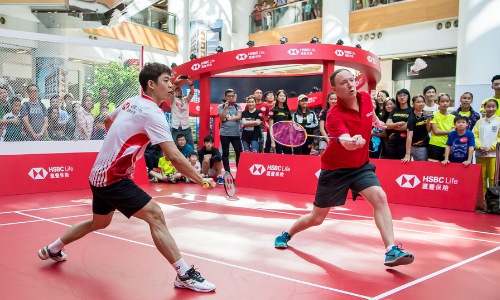 “City Badminton” also serves as the kick-off for the HSBC BWF World Tour Hong Kong stop, which will take place on 13-18 November when players from around the globe descend onto the city to compete for one of the tour’s most prestigious crowns. While one of the hottest companies to watch now, it looks like Airbnb’s campaigns are nothing short of fodder for spoofs for the I..